The 2018 IHSA post-season officially makes kicks off this weekend at various sites around the state. Here is a break down of what to look for. Boys: #15 Jones College Prep and #18 Whitney Young will do battle at the top but look for Lane Tech and St. Ignatius to break up the party. Individually, Sam Rivera of Whitney Young is the heavy favorite. 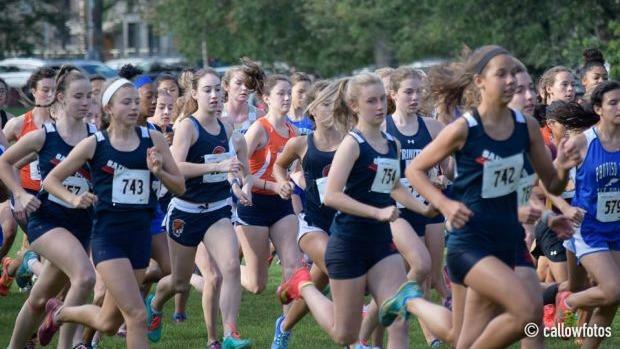 Girls: #8 Oak Park-River Forest, #25 Whitney Young, and St. Ignatius are the teams to watch here. They are teams that won their conference championships last weekend. Ella Behrens of Whitney Young should win the race comfortably. Boys: #16 O'Fallon and #19 Edwardsville will be ready on Saturday to race fast again. O'Fallon, on the strength of Will VanAlstine, was a two-point winner over Edwardsville at the Southwestern Conference meet. Edwardsville's Roland Prenzler was the winner but the victory seemed a little hollow because Granite City rescinded its membership. Prenzler will be joyous to battle Andrew O'Keefe of Granite City. They are two of the state's best runners. Add in freshmen talent Fiker Rosen of Quincy and Byron Jones of Belleville East who will fight for a top five spot. Girls: #18 Edwardsville and #21 O'Fallon are two of the top teams in the state. They will battle every week for here on out. Abby Korak is ready to win the title. Venue Records: Southeastern Illinois Community College. Boys: #3 Dixon, #8 Rockford (Christian), #9 Sycamore, #21 Belvidere North- this could be one of the best regionals in the state. It will not be a cakewalk for Dixon who has been rather quiet despite a lofty ranking. Girls: #13 Hononegah will seek a role as one of the best teams in Illinois by crushing the competition. Katherine Olsen of Dekalb should breeze in the individual sweepstakes. Boys: #4 Stanford-Olympia, #6 El Paso-Gridley, #8 Eureka, #22 Tremont- A good battle should ensue here with three top 10 teams. Girls: #2 Eureka, #8 Stanford-Olympia, #9 El Paso-Gridley, #16 Tremont, #20 Bloomington Central Catholic- This is the top overall regional in Class A. Eureka is a good team and will have an opportunity to prove that. Defending state champion Emma Argo is obvious the person to beat here. Boys: #1 Clifton Central, #16 Herscher, #25 Paxton-Buckley-Loda. Look for the Comets to roll regardless of who they roll out. Tolono is the top team of course with several big wins over SJO. But SJO is a great team as well. This will be the start of the next three weekend battles. Boys: #2 Bloomington, #13 Washington, #14 Metamora, #17 Mahomet-Seymour- Bloomington has been running well all season. They may be the state's best team at the end of the day. Boys: #5 Neuqua Valley, #7 Oswego East, #13 Naperville Central, #23 Waubonsie Valley, #24 Naperville North- Don't expect the field to just "qualify" for sectionals. The goal will be to make a statement. Neuqua Valley is a good team. Oswego East will look to stop the Wildcats streak. Girls: #3 Downers Grove South, #4 Lyons Twp, #23 Hinsdale Central- DGS all day here with Lyons closely tucked in. Boys: #1 Wheaton-Warrenville South, #3 York, #6 Glenbard West- Don't expect the ballers to go all out here but WWS is still the favorite. Ethan Kern of York wins if he races. Girls: #6 Wheaton-Warrenville South, #12 Glenbard West, #22 York- The Tigers are the team and Katelynne Hart is the individual... to beat.